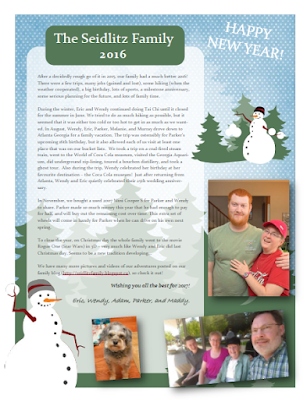 Our (traditionally late) family Christmas letter has finally been completed! This newsletter describes what each of us has been up to during 2016. Click on the link or photo below to see the letter in pdf format.